Law Web: When it is mandatory for arbitrator to decide counter claim in arbitration proceeding? 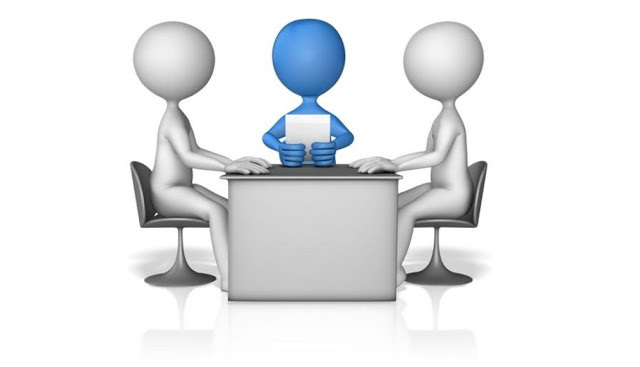 When it is mandatory for arbitrator to decide counter claim in arbitration proceeding? The learned counsel for GSSK placed reliance on some observations made by the Allahabad High Court in the case reported as MANU/UP/0560/2016 : 2016(5)ADJ14 (Indian Oil Corporation Ltd. v. Vidyawati Construction Company). On the basis of the observations made in this case, learned counsel submitted that notice ought to have been given before filing proceeding under section 33(4) of the Act by VSSSK to GSSK and unless there was agreement between the parties to get additional award, it was not possible to entertain and decide the application filed under section 33(4) of the Act. There are such observations of Allahabad High Court but with due respect to these observations, this Court holds that in view of the many decisions of the Apex Court, one of which can be referred to as MANU/SC/0812/2011 : (2012) 12 SCC 581 (State of Goa v. Pravin Enterprises), there is no necessity of giving notice of again referring the matter to the Arbitrator under section 33 and for taking consent of the other party. (a) Section 11 of the Act requires the Chief Justice or his designate to either appoint the arbitrator(s) or take necessary measures in accordance with the appointment procedure contained in the arbitration agreement. The Chief Justice or the designate is not required to draw up the list of disputes and refer them to arbitration. The appointment of the Arbitral Tribunal is an implied reference in terms of the arbitration agreement. (b) Where the arbitration agreement provide for referring all disputes between the parties (whether without any exceptions or subject to exceptions), the arbitrator will have jurisdiction to entertain any counterclaim, even though it was not raised at a stage earlier to the stage of pleadings before the arbitrator. (c) Where however the arbitration agreement requires specific disputes to be referred to arbitration and provides that the arbitrator will have the jurisdiction to decide only the disputes so referred, the arbitrator's jurisdiction is controlled by the specific reference and he cannot travel beyond the reference, nor entertain any additional claims or counterclaims which are not part of the disputes specifically referred to arbitration." 21. The aforesaid observations are not squarely in respect of the provision section 33(4) of the Act but this Court holds that those observations can be made applicable by considering the object behind the provisions of section 11 and section 33(4) of the Act. It is settled law that when counter claim is filed before the Arbitrator, as dispute, it is the duty of the Arbitrator to decide that claim also. The provision of section 33(4) of the Act only says that if the Arbitrator has omitted to decide such claim, the party who had filed such claim can bring this omission to the notice of the learned Arbitrator. The Arbitral Tribunal is already constituted and so the notice mentioned in section 33(4) is not the notice which can be called as mandatory and of the nature mentioned in section 11 of the Act. This Court has no hesitation to observe that the purpose behind this notice is only to give an opportunity to other side to have its say and contest the matter raised before the Arbitral Tribunal. Thus, it cannot be said that the consent of other side who will be benefited due to such omission is necessary for application under section 33(4) of the Act. If such interpretation of provision of section 33(4) is done, then this provision will be become otiose. It can be said that when the omission is brought to the notice of the Arbitrator under section 33(4) of the Act, it will be the duty of the so called party applying under section 33(4) of the Act and the Arbitrator to see that the other side gets opportunity to contest this contention also. Thus, there is no force in the contention made by the learned counsel for the respondent on this point. Vitthalrao Shinde Sahakari Sakhar Karkhana Ltd. Vs.
Gangapur Sahakari Sakhar Karkhana Ltd.
1. The appeals are filed by Vitthalrao Shinde Sahakari Sakhar Karkhana (hereinafter referred to as "VSSSK") to challenge the decision given by the learned Principal District Judge Aurangabad in a proceeding filed under section 34 of the Arbitration and Conciliation Act, 1996 (hereinafter referred to as "the Act"). The Arbitral Tribunal has allowed the claims of Gangapur Sahakari Sakhar Karkhana (hereinafter referred to as "GSSK"). It is the case of the VSSSK that the counter claim made by it is not decided by the Arbitrator. The proceeding was filed under section 33(4) of the Act and this application is also rejected by the Arbitrator. To challenge the decision of the Arbitrator, the proceedings were filed under section 34 of the Act by the VSSSK and one proceeding was filed by GSSK as interest was not awarded on the claim amount by the Arbitrator. The learned Principal District Judge has dismissed the proceedings filed by VSSSK and the proceeding filed by GSSK is allowed. Both the sides are heard. 2. The parties are cooperative sugar factories registered under the Maharashtra Cooperative Societies Act, 1960. GSSK was indebted and it was running in losses. GSSK approached VSSSK and requested to run the factory on partnership basis. As per the provision of Section 20 of the Maharashtra Cooperative Societies Act, approval of the Commissioner of Sugar, Maharashtra State, whose post is equivalent to the post of the Registrar under the said Act, is involved in the process of granting approval and the State Government has also ultimate power to consider this point. After such approval partnership agreement was made and it was registered. Factory premises including machinery was handed over to VSSSK by GSSK prior to sugarcane crushing season of 2006-2007 and from the crushing season 2006-2007 VSSSK was to run the factory under the agreement for five years. (iii) VSSSK was to pay the taxes during the aforesaid period and if any taxes were due prior to the date of the agreement, that amount was also to be paid by VSSSK. Such liabilities which were already in existence were to be discharged by VSSSK and the payments made for such liabilities were to be adjusted against the aforesaid amount which was payable to GSSK every year. There was also loan taken by GSSK from the State Cooperative Bank and so amount against it was to be deposited by VSSSK in the account of GSSK in the State Cooperative Bank. (iv) VSSSK was to comply the provisions of various Acts like Provident Fund Act, Essential Commodities Act etc. VSSSK was to pay contribution for provident fund in respect of the employees who were already working. If already some amount was due under that head that amount was also to be paid by VSSSK and this amount could have been adjusted as against the amount which was payable to GSSK. (vi) VSSSK was to pay 75% of the salary to the employees already employed by GSSK. Even retirement benefits like payment of gratuity in respect of employees who were to retire during the contract period were to be given by VSSSK." 4. There were other conditions like VSSSK was to pay Statutory Minimum Price to the farmers as fixed by the Government but this point of the entitlement of the farmers from this factory is not the point in issue in the present matter. (b) The amount of Rs. 255.61 lakh as the amount which was due to the employees under the head of salary etc. with interest at the rate of 14% per annum from the date when the amount had become due." Thus the total claim of Rs. 866.80 lakh with interest was made before the sole Arbitrator by GSSK. "(i) For crushing season 2006-2007 VSSSK had paid Rs. 100 lakh to GSSK by depositing the amount in the account of GSSK in Maharashtra State Cooperative Bank and it had paid Rs. 14.03 lakh as subsidy granted under the head of loss sustained over recovery and the amount of Rs. 85.36 lakh as the amount paid towards income tax etc. which had already become due, prior to the date of agreement. Thus VSSSK contended that it had already paid amount of Rs. 199.39 lakh to GSSK. (ii) That VSSSK had invested the amount of Rs. 299.52 lakh as capital investment for keeping the factory functioning. (iii) The amount which was available as the price with GSSK on store, molasses and sugar of Rs. 217.48 lakh." 7. In the written statement VSSSK contended that as per the agreement which was made subsequently, GSSK had given up the rent and also variable amount of Rs. 71 per metric ton for the year 2007-2008 and so that amount was not payable to GSSK by VSSSK. In the written statement VSSSK contended that after the adjustment of the aforesaid amount, amount of Rs. 336.64 lakh was payable by GSSK to VSSSK. VSSSK contended that it was entitled to get interest at the rate of 16% per annum on the amount when from the date when the amount had become due and this amount was claimed as counter claim. This case of VSSSK was denied by GSSK by filing rejoinder. 8. The sole Arbitrator who was also the Commissioner of Sugar collected report from the Regional Joint Director of Sugar Pune on factual aspects of aforesaid contentions. On the case of capital investment made by VSSSK opinion of expert like Vasantdada Sugar Institute Manjari (Pune) was taken. It can be said that such step was possible in view of provision of section 26 of the Act. On the basis of these reports and in the inquiry, the sole Arbitrator held that VSSSK had made investment of Rs. 295.96 lakh and after deducting 10% depreciation on that amount, VSSSK was entitled to get back the amount of Rs. 228.53 lakh. The learned sole Arbitrator considered the aforesaid claims raised by VSSSK in respect of price of the store, molasses and sugar available. However, most of this material was lifted with the permission of High Court by VSSSK and so the molasses, sugar and value the remaining stock was considered as around Rs. 59.63 and this amount is considered by the learned sole Arbitrator as the amount which can be deducted from the claim made by GSSK. 9. The learned sole Arbitrator has considered the claim of GSSK in respect of the amount which was demanded by the employees under the head of salary etc. and on that point it is observed that the amount was deposited in High Court and this point was already decided. The claim of VSSSK that it had deposited amount of Rs. 100 lakh in Maharashtra State Cooperative Bank, it had paid the amount of Rs. 14.03 lakh (for crushing season 2006-2007) which was subsidy amount towards the loss in respect of recovery and it had paid amount of Rs. 97.36 lakh towards amount of taxes which was already due and also the amount of Rs. 91.20 lakh as subsidy amount received towards loss in respect of recovery for crushing season 2007-2008 are considered by the learned sole Arbitrator. It is already observed that the amount of Rs. 228.53 lakh, the amount towards capital investment made by VSSSK can be considered by the learned sole Arbitrator and all these amounts are held to be due from GSSK. As to interest amount which was claimed by GSSK there was no agreement that interest is not payable and there is the record in respect of sugarcane crushing and so there was no problem in calculating the exact amount due to GSSK. After deducting the aforesaid amounts mentioned by the VSSSK learned sole Arbitrator has held that the amount Rs. 181.65 lakh was due from VSSSK to GSSK and award in respect of that amount was given. However, interest on this amount was not awarded. 10. The aforesaid award was delivered by the learned sole Arbitrator on 5-8-2010. Application under section 33 of the Act was filed by VSSSK on 24-8-2010, within 30 days from the date of the award. In the application filed under section 33, VSSSK contended that the amount of Rs. 336.34 lakh which is the amount towards fixed rent (Rs. 200 lakh) and the variable amount at the rate of Rs. 71/- per metric ton in respect of crushing season 2007-2008 could not have been awarded in favour of GSSK as this claim was already waived by GSSK and this circumstance is not considered by the learned sole Arbitrator. In the proceedings under section 33 it was further contended by VSSSK that the aforesaid contention ought to have been considered as counter claim of VSSSK and that claim is not decided separately. GSSK contested this contention by filing reply. By order dated 15-12-2010 the learned sole Arbitrator rejected this application. The learned sole Arbitrator has held that so called request of VSSSK, that the aforesaid amount was waived by the GSSK cannot be considered as that agreement is not part of the registered agreement of partnership. The learned Arbitrator has referred to the terms and conditions of the contract which require that in case any change is made in the terms and conditions of the partnership agreement, such change needs to be in writing and signed by both the sides. 11. The learned Principal District Judge has held that the proceeding Nos. 103/2011 and 104/2011 filed by GSSK under section 34 of the Act were not filed within prescribed period of limitation (as per the provision of section 34 of the Act). On this main ground these two proceedings of VSSSK are dismissed. The proceedings under section 34 were filed by VSSSK on 9-3-2011 when the sole Arbitrator had delivered the award on 5-8-2010. The application under section 33 was rejected on 15-12-2010. The learned Principal District Judge has held that the relevant date for filing proceeding under section 34 of the Act is 5-8-2010 and not 15-12-2010. On merits the learned Principal District Judge has observed that no change in the previous written contract and it was registered agreement and so the claim of waiver of rent etc. made by VSSSK could not have been considered by the learned sole Arbitrator. "(1) whether only due to the circumstance that proceeding was filed by VSSSK under section 33 of the Act, in law it can be presumed that it was necessary for the learned Arbitrator to hold that it was filed under section 33(4) of the Act and the decision can be treated as the additional/supplementary award ? (2) whether the limitation period as mentioned in section 34 of the Act will start to run from the date of the original award or from the date of the decision of the application purportedly filed under section 33 of the Act ? (3) whether the learned Principal District Judge has power to award interest in proceeding filed under section 34 of the Act when the sole Arbitrator had not awarded the interest." 13. Point Nos. 1 and 2 : At the outset due to the facts and circumstances of the present matter it needs to be observed that the contention of the appellant that there was resolution of GSSK to waive rent and so VSSSK was not bound to pay the fixed rent of Rs. 200 lakh and variable amount at the rate of Rs. 71 PMT in respect of sugarcane crushed cannot be taken as the counter claim or even as the set-off claim. As the things did not materialize it was a defence taken by VSSSK to the claims made by GSSK. The claims of GSSK were on the basis of terms and conditions of the written contract and it can be said that there was defence of VSSSK that this amount was waived by GSSK. 14. It needs to be ascertained as to whether such defence could have been considered by the learned sole Arbitrator. It is true that this contention was not touched by the learned sole Arbitrator in the initial award though it was touched while rejecting the application filed under section 33 of the Act. In this regard it is not disputed that there was written agreement of partnership between the parties and this agreement was possible only due to the approval of the competent authority. In the present matter there was resolution of the managing committee of GSSK to waive such amount but this proposal which was made before the authority, State Government, was not accepted and so the original agreement was not changed. In law such decision could not have been taken by GSSK and GSSK could not have waived it as interests of farmers, creditors, share-holders were involved and only the authority could have taken decision on this point. Further, as per clause 46 of the agreement to make such change written agreement between the parties was necessary. Such agreement could not come into existence due to aforesaid circumstances. 15. The learned sole Arbitrator was to decide the disputes arising out of contract in which there was term of arbitration. As there was no change in the initial contract, there was no scope to learned sole Arbitrator to consider the defence of waiver taken by VSSSK. In view of these circumstances, this Court has no hesitation to hold that the learned sole Arbitrator had not committed error in not touching this defence of VSSSK while deciding the dispute. The provisions of sections 10, 23 and 25 of the Contract Act read with the provision of section 20 of the Maharashtra Cooperative Societies Act 1960 are relevant on this point. (5) If the arbitral tribunal considers the request made under sub-section (4) to be justified, it shall make the additional arbitral award within sixty days from the receipt of such request." 17. From the aforesaid provision it can be said that the provision becomes applicable when the decision on a particular claim is possible through arbitration. In the present matter, the decision on the case of waiver was not possible through arbitration. Thus the application filed by VSSSK was not within the scope of provision of section 33(4) of the Act and as such application was not tenable, the order made on the application cannot be used by VSSSK for contending that the period of limitation started when this application was rejected by the learned sole Arbitrator. This Court has no hesitation to hold that the time started to run for filing proceeding under section 34 of the Act when the learned sole Arbitrator delivered the award i.e. from 5-8-2010 and not from 15-12-2010 when the so called application under section 33 came to be rejected by the learned sole Arbitrator. This discussion is sufficient to hold that the proceedings filed by VSSSK under section 34 of the Act were not filed within the prescribed period of limitation. So the Point Nos. 1 and 2 are answered against VSSSK. 18. Learned counsel for GSSK placed reliance on a case decided by Division Bench of this Court at the Principal Seat viz Appeal No. 35/2013 in Arbitration Petition No. 47/2009 (Kritika Nagpal v. Geojit Financial Services Ltd.) decided on 25-6-2013. The provisions of the old Act of 1940 and the new Act of 1996 are compared by the Division Bench of this Court and it is observed that there is no provision to remit the award in view of the wording of the provision of section 34(4) of the Act. By using this provision learned counsel for GSSK submitted that this Court cannot allow the appeals and direct the learned sole Arbitrator to reconsider and the learned Principal District Judge cannot remand the matter back to the Arbitrator. On this point learned Senior Counsel for VSSSK placed reliance on the case reported as MANU/SC/1635/2009 : (2009) 10 SCC 259 (Som Datt Builders Ltd. v. State of Kerala). In this case the Apex Court has laid down that when the Award is not sustainable (due to absence of reasons under the Act 1996), in view of provision of Section 34(4) of the Act, opportunity can be given to the Arbitral Tribunal to give reasons. The facts show that the decision of the High Court was set aside and direction was given to the Arbitral Tribunal to give reasons to justify the award and after that the District Court was to hear the matter which was pending in District Court under section 34 of the Act. These observations of the Apex Court were not considered by the Division Bench of this Court and it can be said that at least for the aforesaid purpose the matter could have been remanded to the learned sole Arbitrator if there was such requirement in the present matter. 19. The learned counsel for GSSK placed reliance on some observations made by the Allahabad High Court in the case reported as MANU/UP/0560/2016 : 2016(5)ADJ14 (Indian Oil Corporation Ltd. v. Vidyawati Construction Company). On the basis of the observations made in this case, learned counsel submitted that notice ought to have been given before filing proceeding under section 33(4) of the Act by VSSSK to GSSK and unless there was agreement between the parties to get additional award, it was not possible to entertain and decide the application filed under section 33(4) of the Act. There are such observations of Allahabad High Court but with due respect to these observations, this Court holds that in view of the many decisions of the Apex Court, one of which can be referred to as MANU/SC/0812/2011 : (2012) 12 SCC 581 (State of Goa v. Pravin Enterprises), there is no necessity of giving notice of again referring the matter to the Arbitrator under section 33 and for taking consent of the other party. (2) MANU/SC/1877/2006 : AIR 2006 SC 1796 (State of Haryana v. Ranbir alias Rama)." (8) MANU/TN/2902/2014 (R.R. Donnelley Publishing India Pvt. Ltd. v. Canara Traders and Printers Private Limited)"
23. The cases which are relevant for the present purpose are already referred and considered by this Court. The other cases are not squarely applicable to the present matter and so those cases are not considered in detail. (7) (a) Unless otherwise agreed by the parties, where and in so far as an arbitral award is for the payment of money, the arbitral tribunal may include in the sum for which the award is made interest, at such rate as it deems reasonable, on the while or any part of the money, for the whole or any part of the period between the date on which the cause of action arose and the date on which the award is made. (b) A sum directed to be paid by an arbitral award shall, unless the award otherwise directs, carry interest at the rate of two per cent higher than the current rate of interest prevalent on the date of award, from the date of award to the date of payment. Explanation.-- The expression "current rate of interest" shall have the same meaning as assigned to it under clause (b) of section 2 of the Interest at, 1978 (14 of 1978)"
25. Aforesaid provision shows that if there is no agreement contrary to the provisions made in this section then the Arbitral Tribunal can award interest and the interest can be 18% per annum. In the present matter there was no agreement between the parties that a party will not be entitled to get interest on the amount like fixed rent and variable amount at the rate of Rs. 71/- PMT of the sugarcane crushed by present appellant. Thus, there was no provision to prevent the claim of the interest and grant of the interest. In spite of this circumstance, this point was not touched by the learned Arbitrator. The learned Principal District Judge has considered the scope of provision of section 34 of the Act and also the aforesaid provision of the Act. The learned Principal District Judge has granted interest at the rate of 10% per annum from the date of filing the claim till the date of the award and the interest at the rate of 18% per annum from the date of the award till the date of realisation of the amount is awarded. The power is discretionary in nature and considering the scope of the aforesaid two provisions and it is commercial transaction, this Court holds that the learned Principal District Judge has not committed any error in granting the interest at the aforesaid rates. Thus, on this point it is not possible to interfere in the decision given by the learned Principal District Judge on this matter. In the result, all the appeals stand dismissed. Pending civil applications stand disposed of.